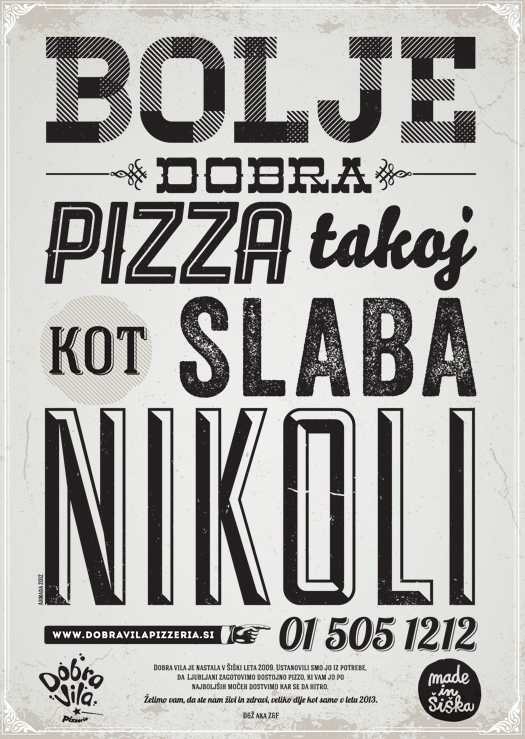 To create a familiar and humorous slogan, which the public will associate with Pizzeria Dobra Vila. 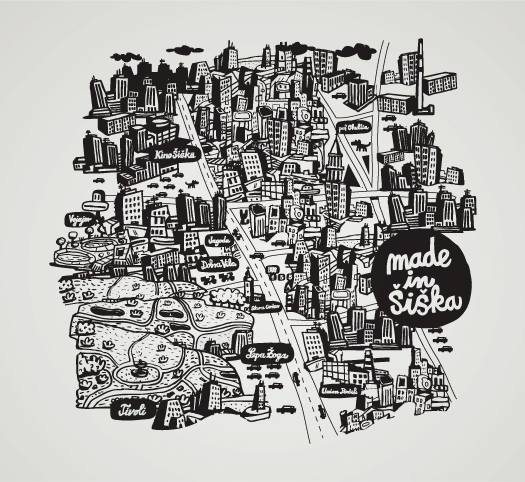 Because Šiška is traditionally the most recognizable district in Ljubljana and because Šiška is also home to certain legendary institutions, such as Tivoli, Lepa žoga, and Union, we searched for an identity which would connect the district of Šiška with its people. 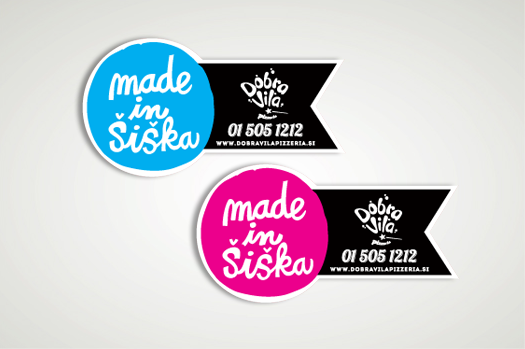 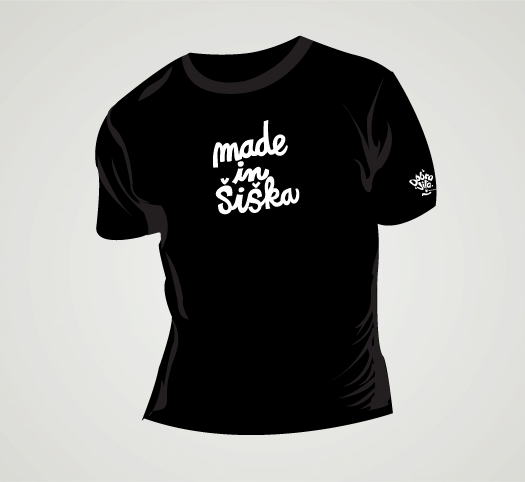 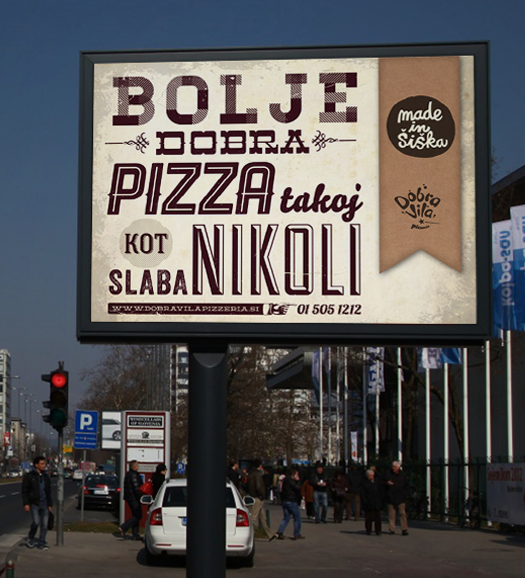 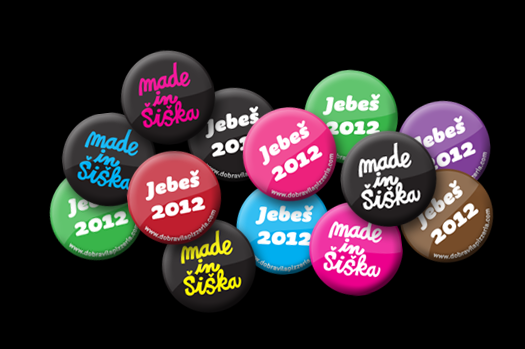 “Made in Šiška” is a tagline, which will become a local movement and an amusing indicator of quality, because the inhabitants of Ljubljana take pride in Šiška.